Most households pay about $100 per month for cable TV or satellite TV service. That adds up to over $1200 per year. We don't watch much TV anymore, so I tried to work out a different channel package with the service provider. You can get cable TV packages for as little as $40 per month with limited channels. Satellite TV service starts at about $70 per month after the special discounts disappear. I was not able to find a package that saved much on the monthly bill and was worth having- so I cut the cord. No more cable TV or satellite TV at the Pincher residence. I did have some reservations about this decision. What about watching Big 10 games on the Big 10 network? What about watching Bloomberg TV for morning news instead of the fluffy "news" on network TV? These are clearly luxuries, and I am sure I will survive just fine. I will be turning to the internet for more of my news and entertainment. But even more concerning- what about local news and weather? We always turn the TV on when a storm is coming to see if there is a severe weather threat. What will we do now- there is literally nothing on TV with cable TV or satellite TV- right? Wrong! You can get several channels in high definition for free over the air. 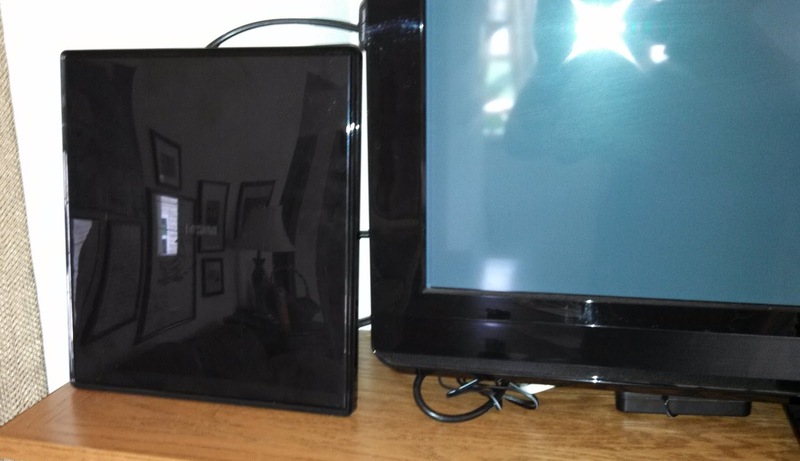 All you need is a simple indoor HD TV antenna that you can purchase for about $50. No more monthly bills and you can get free high definition TV. This is a great indoor HD TV antenna. This RCA model includes an amplifier to boost reception. 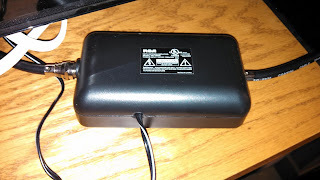 The antenna pattern is claimed to be omnidirectional, however I do find that I need to adjust the antenna slightly to get some stations in my area. 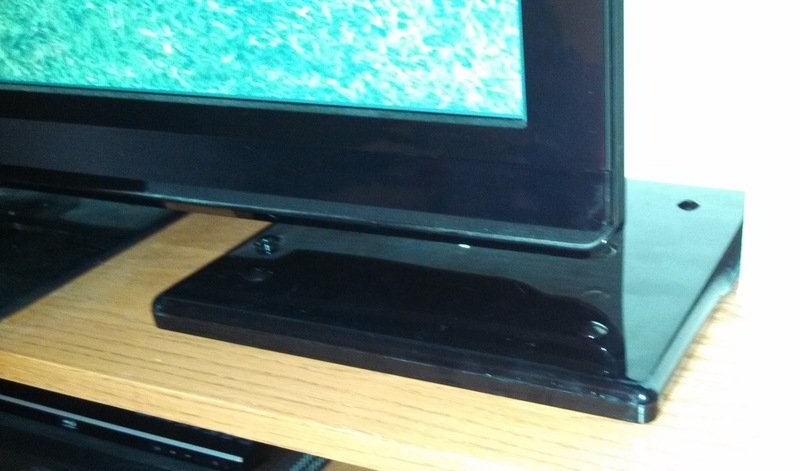 The antenna is a black square shape that can be placed behind your TV, or can be hung on a wall like a picture, or it includes a stand and you can set it up on the floor. This antenna comes with all of the cables you need to hook it up and get free HD TV. Admittedly the selection of channels is limited compared with cable TV or satellite TV. I can get CBS, FOX, and about 5 Public Television channels. If I set my antenna in the window, I can also pick up ABC and NBC stations. I am actually pretty pleased with these choices- considering they are completely free and I will never need to pay a cable TV bill or satellite TV bill again. This will certainly provide local news, weather, and sports. I'll be able to watch quite a bit of NFL football on CBS and FOX. UPDATE: In a desperate attempt to get NBC to watch preseason NFL football, I found a single antenna orientation that works for NBC, CBS, and ABC in my area. I placed the antenna face down near the TV- see picture below. I had previously assumed that the antenna would work best standing vertically, but it is working great laying face down. Another way we can still use our TV without cable TV or satellite TV services is to use Netflix and Hulu Plus. Our Panasonic TV has built-in Netflix. Netflix costs $7.99 per month and there is no limit to how much you can watch. Netflix has movies that are a few years old, plus quite a few TV shows. I like that you can watch an entire series on your schedule. Our TV does not have a built-in app for Hulu Plus- we use our Wii or X-box console to play Hulu Plus movies and shows on our TV. You can also use a video game console to get Netflix on your TV if Netflix is not built-in to your TV. If you don't have a videogame console, you can get a Roku streaming media player for about $100. A Roku player has a wi-fi receiver and high definition video output to connect to your TV set. You can use services like Netflix, Hulu Plus, and Amazon Prime on a Roku Player . Roku players also have a remote control which is handy. How Much Can You Save with Cable TV Alternatives? Save over $1200 per year by cutting cable or satellite TV service and using cable TV alternatives! 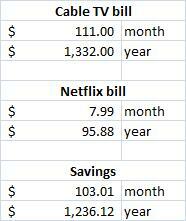 As you can see we are saving $103.01 per month which adds up to $1,236.12 in savings over a year by using alternatives to cable TV. I can say that I have not really missed having all of those extra channels that much. Using free HD TV with our indoor HD TV antenna and watching Netflix has filled the void. For me, it is was certainly a good move to cut cable TV and use cable TV alternatives. Wow! can we save up to $1200, this really great news.